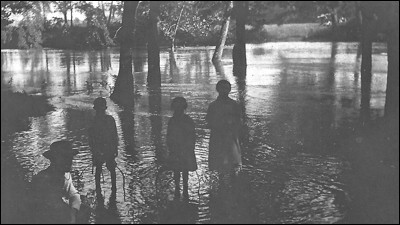 A haunting image of my ancestors on Center Creek near the family home in Sarcoxie, Missouri. My grandfather Frederick Armstrong Daugherty was born in 1889 in nearby Carthage. My grandmother Ama Maude Arnold was born in Sarcoxie in 1891. They were married in Jacksonville, Oregon in 1914.